Bangalore South comprises eight assembly constituencies – Basavanagudi, Bommanahalli, BTM Layout, Chickpet, Govindarajanagar, Jayanagar, Padmanabhanagar and Vijayanagar. The constituency is considered largely conservative and traditional, more so areas like Jayanagar and Basavanagudi. But it also has a fairly large migrant population, many of whom work in the city’s IT sector, in areas like BTM Layout and Bommanahalli. The constituency has been a BJP stronghold for long. Find which wards comes under the Bangalore South parliamentary constituency. According to the website of the Chief Electoral Officer (CEO), Karnataka, as of 16th January, the constituency had 21,66,445 voters – 11,29,388 male, 10,36,718 female and 339 others. Twenty five candidates are contesting from Bangalore South this time, of whom 11 represent political parties and 14 are independents. Find the links to their affidavits towards the end of this article. Election Commission of India (ECI) had rejected nine nominations from the constituency. Only one woman is contesting from here this time as against four in the 2014 election. B K Hari Prasad is currently a Rajya Sabha member. 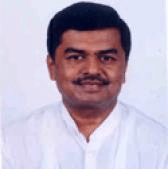 A resident of Malleshwaram, Hari Prasad has been a member of the Rajya Sabha four times – 1990-1996, 2004-2010, 2013-2014 (after the resignation of Anil Lad who had got elected as an MLA from Bellary), 2014-present. Since 1980, Hari Prasad has been associated with many official bodies including the Karnataka Slum Clearance Board, Central Silk Board, Indo-Turkey Parliamentary Group etc., at different times and in various capacities. He was in the news recently for his controversial remark that the Pulwama terror attack had happened because of some sort of “match-fixing” between the prime minsters of India and Pakistan. Hari Prasad kickstarted his campaign from Basavanagudi on 1st April. ☛ Citizen Matters’ profile and recent interview with BK Hariprasad: Click here. 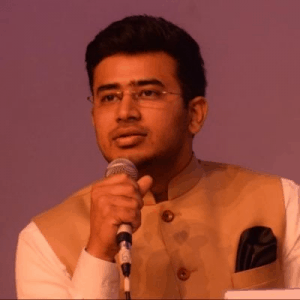 Currently the state General Secretary of the BJP’s youth wing Yuva Morcha, Tejasvi Surya, 28, is one of the youngest candidates this election. Surya has got into controversies over his hardline Hindutva position and his call to build a Hindu Rashtra. A three-time MLA from Chamarajanagar assembly constituency, Vatal Nagaraj is known for his hardline pro-Kannada stand. He is believed to have held over 10,000 protests for the cause of Karnataka and Kannada. Hailing from Vatala in Mysore district, Nagaraj had started his political career in Bengaluru as a corporator in 1964. The symbol of his party, the Kannada Chalavali Vatal Paksha, is slippers. Nagaraj was an MLA from Chamarajanagar constituency in 1989-1994, 1994-1999, and 2004-2008. He had contested in the 2009 Lok Sabha election from Bangalore South parliamentary constituency, but had lost. In the 2014 Lok Sabha election, Nagaraj had supported Congress candidates. Vatal Nagaraj is no stranger to the media. He has got media coverage many times over the decades. 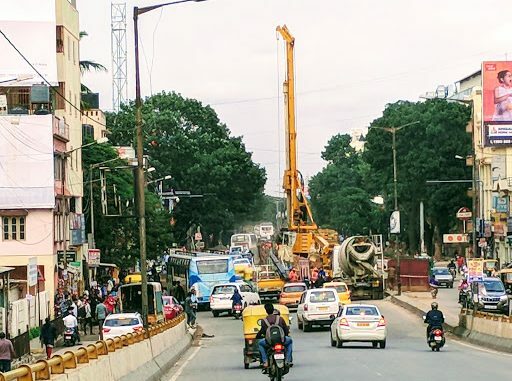 Last December, Nagaraj held a protest, demanding representation of leaders from Belagavi, urging the government to appoint a second deputy CM from north Karnataka to address the regional imbalance. Vatal is also known as a “serial protestor” and is quite famous for his novel style of protests, using props ranging from donkeys to commodes. He is well-known for his many calls for bandhs, from the 60’s protests against the release of other-language movies dubbed to Kannada, to that against the release of Cauvery water to other states. In the 2014 election, of the 19.9 lakh registered voters (10.5 lakh men, 9.4 lakh women and 320 others), only 55.75 percent i.e. around 11 lakh people, voted. These voters comprised 5.9 lakh men, 5.1 lakh women, 19 others, and 1445 postal voters. Nineteen candidates had contested from the constituency overall, of whom 17 forfeited their deposits. Ananth Kumar of BJP had won the election, with over 57 percent votes. That was the fifth time Kumar had been elected from this constituency. The seat has remained empty since his death last November. Deepa Vaishnavi is the Communications Manager at Oorvani Foundation. A member of Co Media Lab, she is also a soft-skill trainer and a citizen journalist. Over a steaming cup of coffee, Swetha Padmanabhan had a chat with her namesake, Shweta Taneja, a fantasy writer and journalist currently residing in Bangalore. Much of the allocated money is not spent. And the little money spent goes towards building roads and houses, that are of poor quality. What about welfare schemes, asks Dalit leader, Venkatesh M.
Former Lokayukta Justice Santosh Hegde talks about his decision to endorse the Lok Satta candidate in the graduate constituency MLC election.